The first season of Celebrity Apprentice under Arnold Schwarzenegger has its contestants and its advisors. 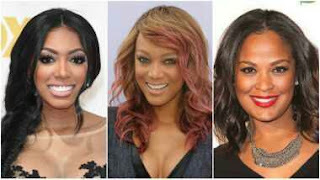 The new re-vampedCelebrity Apprenticecontestants include Porsha Williams, Laila Ali, Eric Dickerson, Lisa Leslie and Ricky Williams, while the advisors include Tyra Banks, Warren Buffett, Steve Ballmer and Jessica Alba. This season will see the exit of Donald Trump in the wake of his presidential run as well as the controversy surrounding many of his statements concerning women and minorities. NBC exec Paul Telegdy said that Trump’s exit also means the panning of the phrase “you’re fired,” though the new exit phrase has not yet been announced.